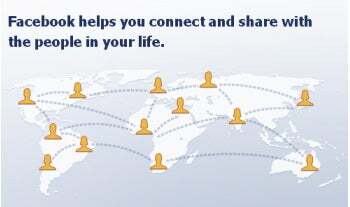 Facebook was built as a powerful social connector, allowing users to befriend others with similar interests, locations, schools, and more. But as privacy concerns mount and users demand more protection, the social networking site's philosophy has started to go down the toilet. Now that Facebook is eliminating regional networks -- or groupings of people based on where they live -- it's becoming apparent that proclivities lean towards building fences rather than crossing them. When you're in someone's network -- like if you belonged to the same school or company -- you essentially "friend" everyone on that network, allowing others to see the entirety of your Facebook page (this can be changed in your privacy settings). Regional networks granted access to wider swaths of potential friends, but therein was the concern: how much is too much? Do we really want the entire city of Boston looking at last year's Halloween pictures? Is making friends with these strangers something I want to do? According to the original philosophy behind Facebook, yeah, you might want to make friends with hundreds of strangers. Why else would they create a site where people electronically "meet" one another? The underlying privacy concerns are justified. Now that Facebook has 350 million users, regional networks have expanded into the millions. Many people either aren't sure how to change their privacy settings or they do not care, because, as I mentioned earlier, limiting the network of people able to view your profile is just a click away. So instead of schooling its users on how to protect their privacy, and maintaining its credo, Facebook deleted regional networks altogether, a symbolic gesture of closing the gates. Facebook has had more than its share of privacy problems. There's the Beacon fiasco; the lawsuits; the federal complaints; international investigations; and schemes galore. There are also a multitude of methods to protect your privacy both on Facebook and online in general. If Facebook users became more acquainted with the power they have to protect themselves, perhaps sweeping shut-downs such as these wouldn't be necessary. But as Facebook locks doors and tosses keys, I cannot help but feel it's headed in the opposite direction from whence it started, dismantling its very purpose, and adopting an attitude of exclusivity.